The Alele Gift Shop offers visitors the opportunity to take a piece of the Marshall Islands with them. Through these gifts and resources, a memory of the Marshalls can be created or preserved forever. 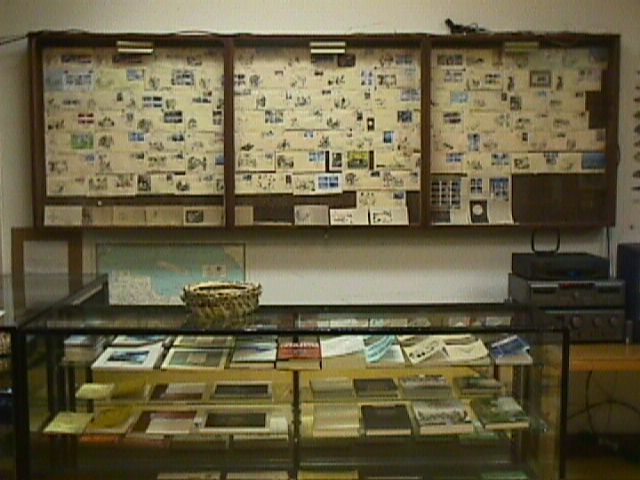 The museum and library operates a small shop for the sale of books on the Marshalls&Micronesia, Original videotapes which introduces Marshallese cultural heritage or current topics, Maps of the region, Original T-shirt with traditional motifs, and local handicrafts. Books, Maps and Videotapes are ready to order through the e-mail. We CANNOT accept credit cards at this moment. We accept personal check, travelers checks, and Money Order in US$ made available to "Alele Museum". We DO NOT accept COD orders. Also offered through the Alele is the opportunity for local handicraft shop collaborations, Through the assistance of local merchant, orders placed on the web can be processed and shipped.